Higher Education Whisperer: Who reads the Higher Education Whisperer? The Research Whisperer published some statistics on their readership, so here are some for this blog, the Higher Education Whisperer. 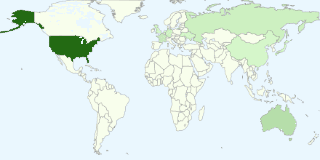 Since it started in June 2013, there have been 343,292 page views, with the highest number from the USA (163,036), followed by Australia (35,463) and, surprisingly, France (21,050). The most popular post was "Speed Dating for University Students and Employers..." Mar 27, 2017 (4,131), followed by "Teaching in a Digital Age", Jan 18, 2017 (3,509) and "Australian Cyber Security Courses" Jun 27, 2016 (2,077).